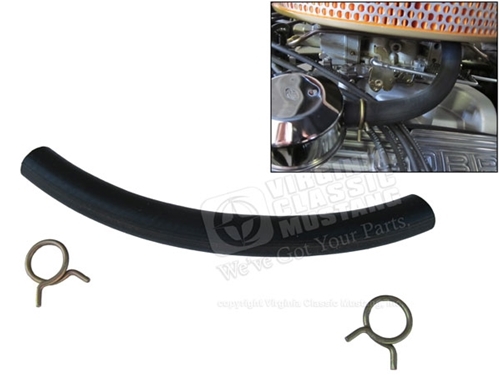 1965 and 1966 GT350 Shelby Mustang Oil Cap to Air Cleaner Base Hose with two clamps. Correct ribbed style hose like the original. Length is a bit under 9 inches like the original. This hose was also used on California delivered HiPo Mustangs.